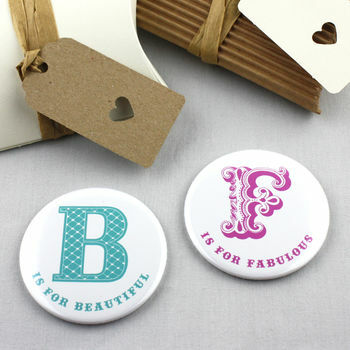 With Christmas fast approaching it's a perfect time for buying thoughtful presents that don't cost a fortune. Whether it's an office Secret Santa, a stocking filler or a little extra present for someone special I have lots of options for under £10 (and a few more for budgets that can stretch a bit further). Examples of prices below include P&P - so no surprises at checkout and some come with a gift box so no need to spend extra on wrapping. Browse my ETSY & NOTHS shops for my full range - but below are a few suggestions. 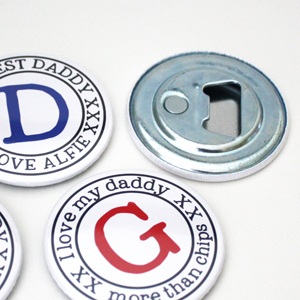 A Bottle opener with a magnet (so always handy on the fridge) is a great gift that can be personalised to make it extra special and it's useful too! Or how about a little make-up mirror? - a perfect handbag size for checking everything is looking perfect at parties over Christmas and the New Year. Bottle openers take care of the beer drinkers but for those whose preferred tipple comes in a larger bottle - a personalised wine glass charm is a good choice. 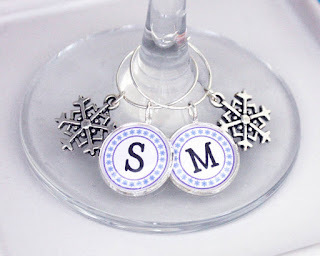 Also available are sets of wine glass charms for the Christmas dinner table to make it extra special (re-use every year or guests can take theirs home with them at the end of the day as a permanent memento). 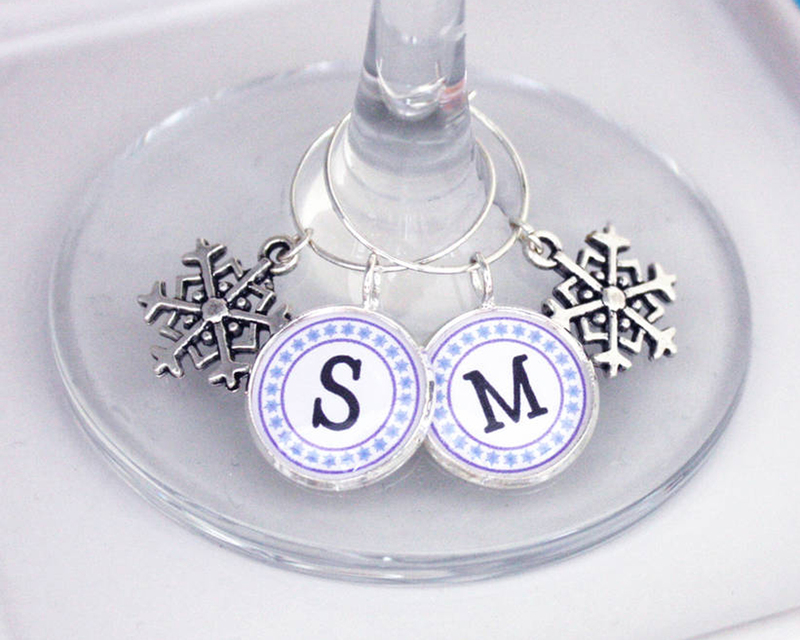 Can't decide between a mirror or wine charm? 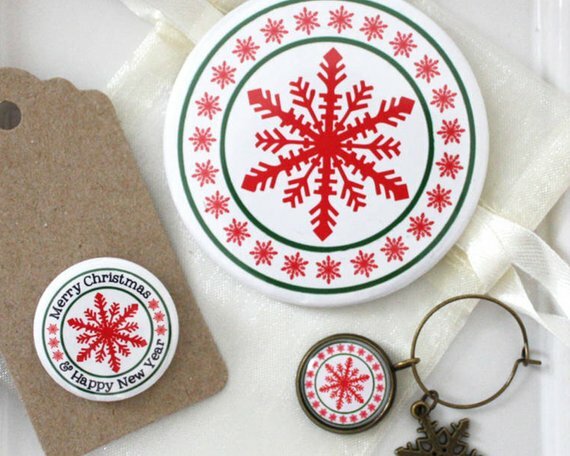 Then the Secret Santa Gift Set is a good choice - a mirror and wineglass charm in an organza bag along with a 'Merry Christmas, Happy New Year' badge on a tag. Available in red/green/ bronze or blue/purple/silver.